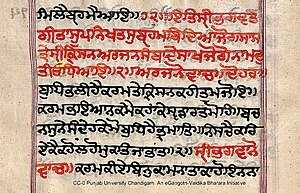 The Kharosthi script, also spelled Kharoshthi or Kharoṣṭhī, was an ancient Indian script used in Gandhara to write Gandhari Prakrit and Sanskrit. It was popular in Central Asia as well. 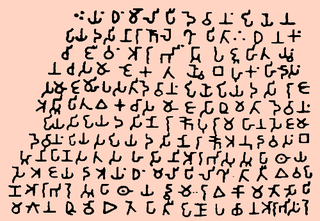 An abugida, it was introduced at least by the middle of the 3rd century BCE, possibly during the 4th century BCE, and remained in use until it died out in its homeland around the 3rd century CE. It was also in use in Bactria, the Kushan Empire, Sogdia and along the Silk Road, where there is some evidence it may have survived until the 7th century in the remote way stations of Khotan and Niya. Kharosthi is encoded in the Unicode range U+10A00–U+10A5F, from version 4.1. 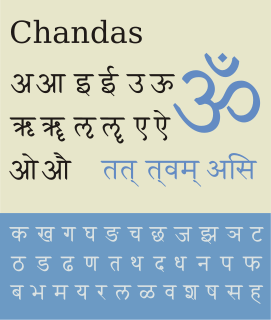 Gāndhārī is the modern name, coined by scholar Harold Walter Bailey, for a Prakrit language found mainly in texts dated between the 3rd century BCE and 4th century CE in the northwestern region of Gandhāra. The language was heavily used by the former Buddhist cultures of Central Asia and has been found as far away as eastern China, in inscriptions at Luoyang and Anyang. 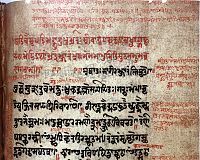 Gāndhārī Prakrit appears to be descended from, or heavily influenced by, Vedic Sanskrit or a closely related language, although there is an ongoing debate about the question of whether some Prakrits were originally non-prestige contemporaries and/or antecedents of Sanskrit. 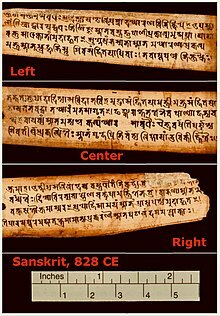 The Edicts of Ashoka are a collection of more than thirty inscriptions on the pillars as well as boulders and cave walls, made by Emperor Ashoka of the Mauryan Empire during his reign, from 268 BCE to 232 BCE. 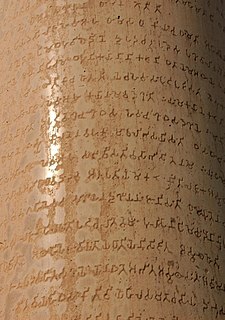 Ashoka used the expression Dhaṃma Lipi to describe his own Edicts. These inscriptions were dispersed throughout the areas of modern-day Bangladesh, India, Nepal, Afghanistan and Pakistan, and provide the first tangible evidence of Buddhism. The edicts describe in detail Ashoka's view about dhamma, an earnest attempt to solve some of the problems that a complex society faced. 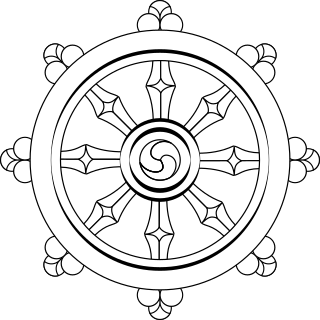 According to the edicts, the extent of Buddhist proselytism during this period reached as far as the Mediterranean, and many Buddhist monuments were created. The Shaka era is a historical calendar era, corresponding to Julian year 78. It is commonly known in Indian languages as Shalivahana Śaka or RTGS: Mahasakkarat "Greater Era"). 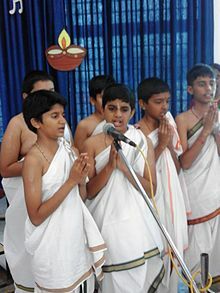 Dravidian people or Dravidians, are speakers of any of the Dravidian languages. 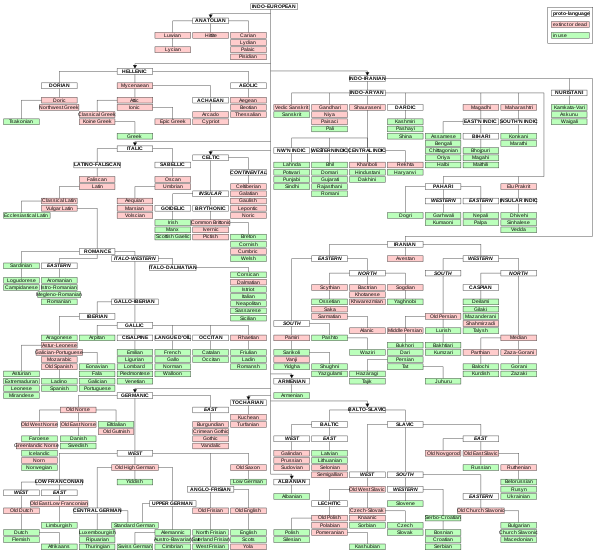 There are around 245 million native speakers of Dravidian languages. 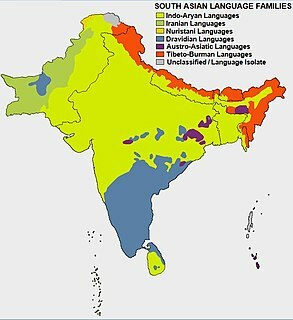 Dravidian speakers form the majority of the population of South India and are natively found in India, Pakistan, Afghanistan, the Maldives and Sri Lanka. 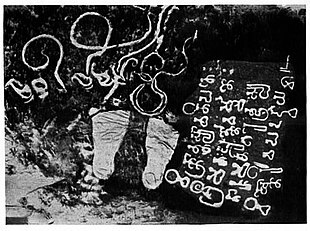 Lipi means "writing, letters, alphabet", and contextually refers to scripts, the art or manner of writing, or in modified form such as lipī (लिपी) to painting, decorating or anointing a surface to express something. 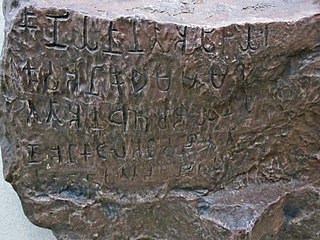 The Nasik inscription of Ushavadata is an inscription made in the Nasik Caves by Ushavadata, a viceroy of the Western Satraps ruler Nahapana, in the years circa 120 CE. 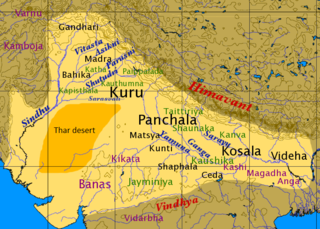 It is the earliest known instance of the usage of Sanskrit, although a rather hybrid form, in western India.